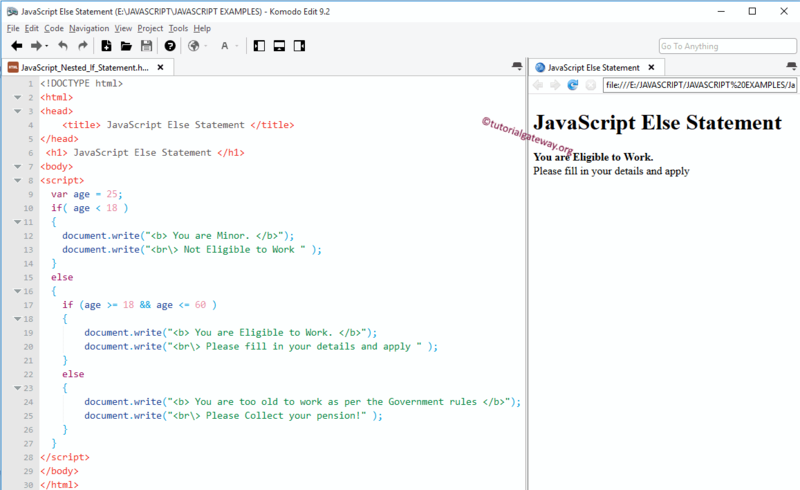 If the Test Condition1 is FALSE then STATEMENT3 will execute. 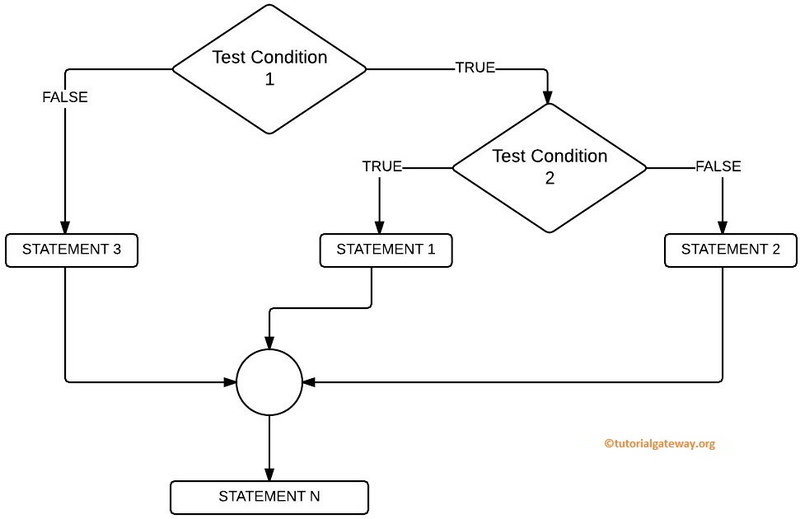 If Test Condition1 is TRUE then it will check for the Test Condition2, if it is TRUE then STATEMENT1 will execute or else STATEMENT2. If the age is less than 18 we are going to print 2 statements. When the condition fails we will check one more condition (Nested) and if it succeed we print something. If the nested condition fails we print some other thing. Within the Else statement there is another if condition (this is called as Nested If). If the condition is FALSE then he is too old to work as per the government.